HADDON TOWNSHIP, New Jersey -- Authorities are investigating a report of a missing juvenile who disappeared from Haddon Township, Camden County Saturday night. Sindy Menjivar-Hernandez, 15, is described as a light-skinned Hispanic female, 5'3, and approximately 133 pounds. 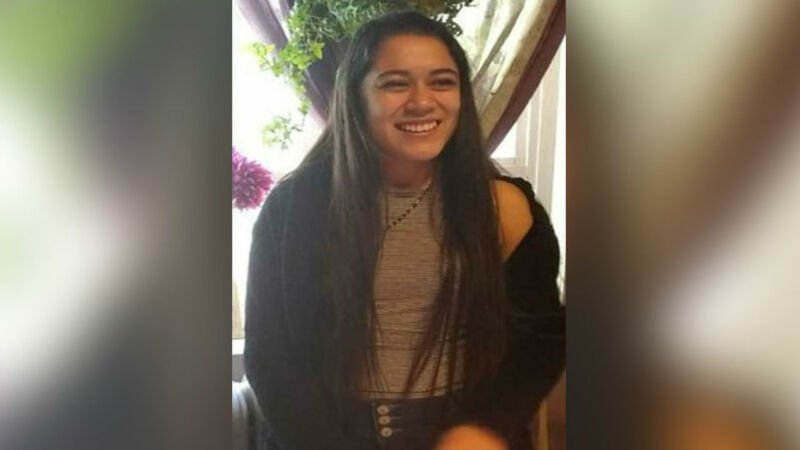 Police said Menjivar-Hernandez was last seen at her home on the 1200 block of Walnut Avenue in Haddon Township around 11 p.m.
She was last seen wearing blue jeans, a dark grey or blue sweater and tan sneakers. If you come in contact with or see Sindy Menjivar-Hernandez, you are asked to call 9-1-1 immediately and report her location and description. Anyone that might be able to assist with locating Sindy Menjivar-Hernandez is asked to contact Haddon Township Police Detective Timothy Hak at (856) 833-6209 or Camden County Prosecutor's Office Detective Briana Catts at (609) 508-3333.